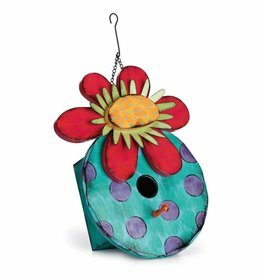 A red colored rectangular box type birdhouse which has a sunflower shape attached at the top. 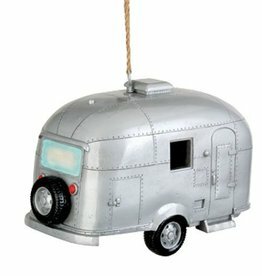 Comes with hanger option of chain or hook. Door in back for easy cleaning. 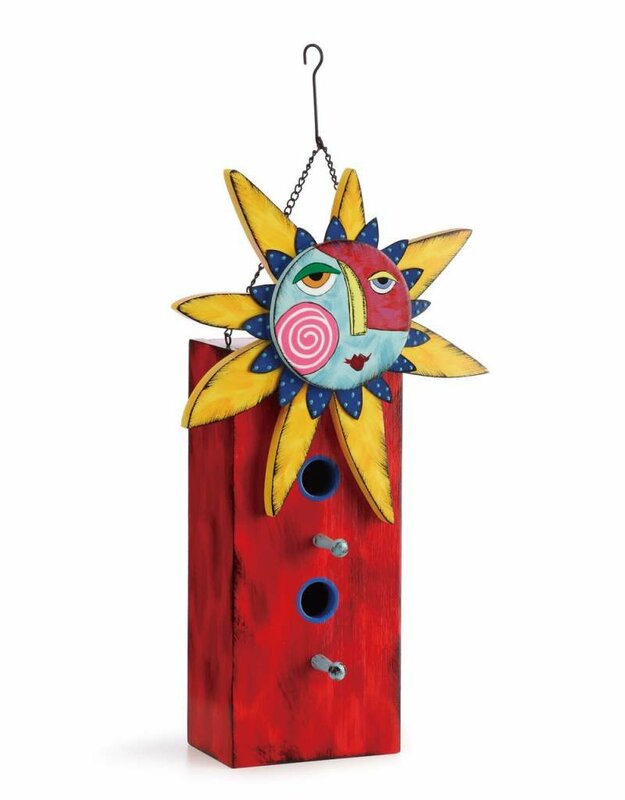 This eye-catching art is ideal for adding a playful touch to your garden. Made of wood and iron. Measures 9" w x 16" h.